Information The purpose of the Lunenburg County Ground Search & Rescue Team is to assist the R.C.M.P. 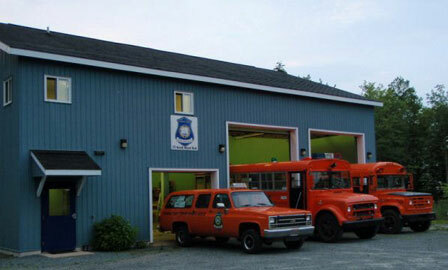 and Municipal Police Services in locating persons missing in the woodlands or other areas of Lunenburg County. Our services are also provided elsewhere in Nova Scotia when requested to do so by Emergency Management Office. We assist our local REMO in times of disaster. We will also endeavour to educate the public in proper woodsproofing techniques - what to do when one gets lost. We presently have 44 volunteer members who respond to call outs. These members also give freely of their time to train so that they are qualified to do the best job possible. Fundraising is another big part of our activities as the Team has to fund the biggest part of our operating, training expenses and purchase new equipment as needed. In the Province of Nova Scotia the Search Teams have a Training Standard to follow so that all searchers are qualified at the same levels. We train our searchers in Map and Compass; First Aid and CPR; Survival; Search and Rescue Techniques; GPS units; ATV Safety and Radio Communications. Meetings Third Tuesday evening of each month.